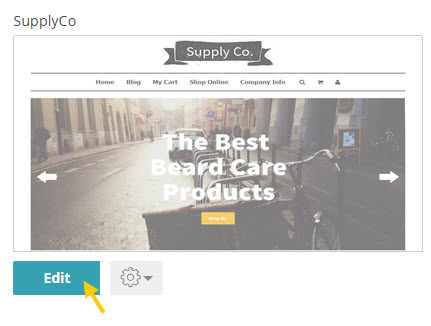 When your storefront is first set up you will have a sampling of default settings, products, categories, navigation, and content. One of the things you may want to change is the Top Navigation Links. 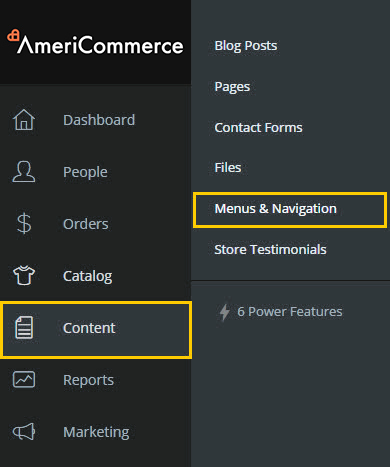 To Change modify the navigation links simply go to your menus and navigation. 2. 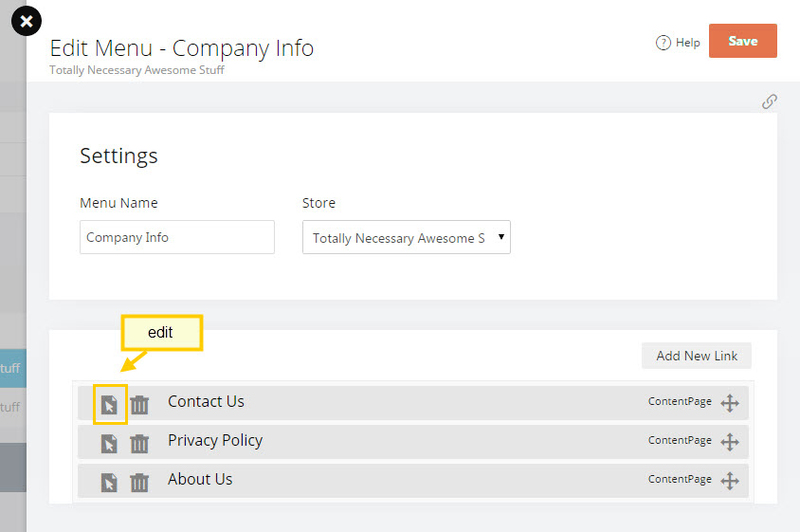 To update the links in your menu, simple select the menu and edit it. You can learn more about the editing process here. 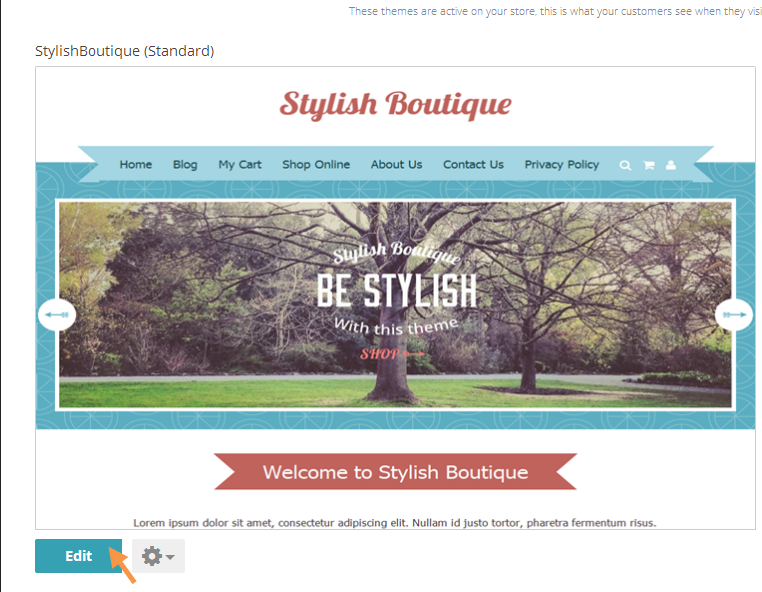 Modifying the navigation bar, creating a navigation bar, or selecting a new menu within. Use the Type option to set what type of page the link is. Select your Current Active theme (first them in top left). Select "Edit". 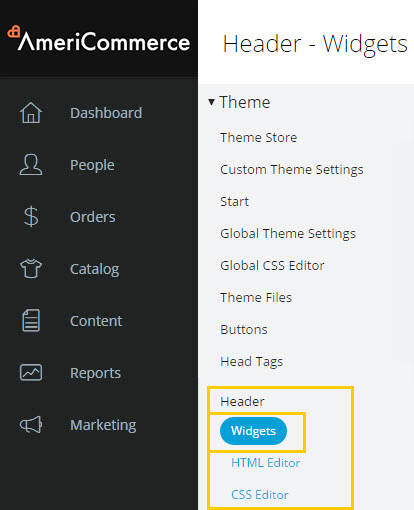 Then select Header in the list on the left. Then look through your widget Areas on the right to find a "Menu" Widget and select it. And then all you have to do is select from the Menu drop down to change the menu being used for that widget.